He was examined in Atlanta and had an MRI and X-Rays, but the results were inconclusive. 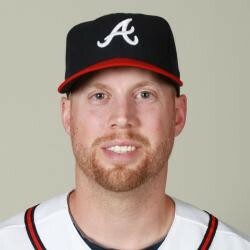 Atlanta had signed the lefty to a one-year contract in January for $925,000 in the hopes he would serve as a LH specialist. It appears he could have something significant going on with his shoulder. This is the reason the Braves moved quickly to claim LHP Andrew McKirahan from the Marlins. The team desperately needs McKirahan to step up and fill the void.